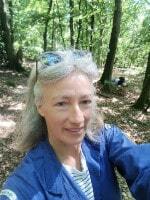 I live in The Perche National Park – It all started about eight years ago when I was selling property throughout Normandy and Brittany, and I was on a visit with a new French Agent who took me to this enchanting region which I knew instantly was the right location for me. I immediately brought the family to see the area and luckily my husband felt the same way. That visit changed our lives - every weekend with great excitement we would jump in the car and drive to the "Perche" looking for our "future home" and to be honest finding the house was the easy part once we knew where we wanted to live. So here's a little bit about my favourite region which I hope will help you to find your's. The Perche National Park is definitely one of France's best kept secret's, situated in the south-east corner of the Orne department (61) of Normandy, the area is home to some of the most beautiful countryside in the world as well as many of the prettiest villages in France. 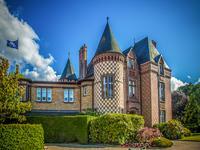 Known to the French as the "lost countryside" - it is true to say that living here is like stepping back in time. Nature lovers will be in their element with the views from the hills, huge forests with a great network of footpaths and bridle tracks, many rivers and lakes. It is also the closest Green belt to Paris, just 1 ½ hours by rail and road hence the region is rich in culture with festivals, concerts, plays, museums, galleries and antique shops, and also rich in architecture with many Manor houses and Chateaus, many Parisiens have weekend homes here. The traditional Percheronne properties are constructed from white/yellow stone – similar to the Cotswold stone.The Saturday markets of Mortagne au Perche and Nogent le Rotrou are magnificent and not only offer the most wonderful local produce but are a popular social event and great way to pass a morning, maybe take a coffee in one of the local cafes or tea rooms. If you prefer golf there are 2 superb18 hole courses in the National Park itself.Accessibility is excellent within one and a half hours you can reach Paris, the ports at Le Havre and Caen, and Calais is just three and a half hours by car. If you want a day of shopping and don't want to go as far as Paris: Le Mans and Chartres are both beautiful towns with great shops and within an hours drive. If it is beach weather then you have a choice of the Normandy beaches including Deauville and Cabourg just one and a half hours away, or alternatively visit one of the local lakes with their own sandy beaches at Le Mele sur Sarthe, Soligny la Trappe and Fontaine Simon.It's also a good spot from which to explore the rest of France. 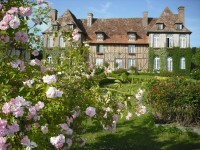 Wonderful Manor house situated in beautiful grounds , 2H from Paris. Early 17th and 18th . 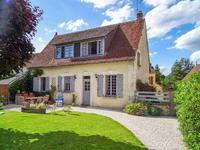 . .
Charming Manoir house situated in the department of Calvados in Normandy, 2 hours from Paris. . . .
Belleme - former mill in excellent condition, artists studio and guest house - a stunning country estate with lake. 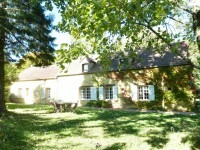 Wonderful country estate – former mill which is converted into a luxury country house with 5 . . . 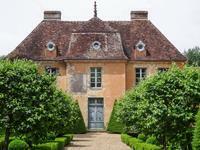 Exceptional, sumptuous and beautifully presented 18thC maison bourgeoise. Superb gardens with views. Edge of town, Belleme/Mortagne au Perche. Perche National Park. On the edge of a wood with direct acces to bridleways, this well presented property was . . . 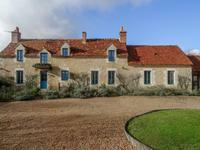 Wonderful property in a sought after location in the "golden triangle" of the Perche National . . .
Courtomer, Orne , Equestrian property with 2 houses , numerous outbuildings currently 8 stables and a sandschool - over 40 acres of land. 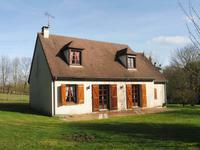 Located in Perche National Park close to Courtomer, 3/4 bed Maison de Maître and a 2 bed . 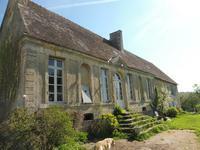 . .
Close to Bellême, Charming country estate of three houses standing on 38 acres of land, dominant position. Dominant position with wonderful views. Close to the public forest and bridleway network. The . . .
New Price 305000 euros. Wonderful location edge of village with superb views, Perche National Park . Spacious contemporary 5 bed home. Outbuilding, 3 acres grounds. Nogent le Rotrou sector, edge of village recently built luxury spacious property - making . . . Beautifully renovated stone property overlooking the valleys of the National Park. Stunning gardens and views. Beautifully renovated stone property. Mortagne au Perche, 2 hrs Paris. Located just outside . . .
Price now 290000 euros. Orne 61. 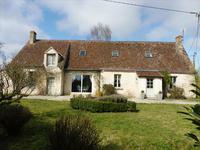 Well presented 3 bedroom property on 5000m² of land.Belleme, Perche National Park. 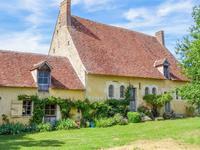 Located in an hamlet close to Mamers and Belleme, this property has been restored with taste . . . 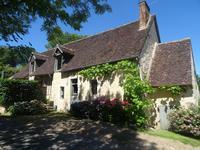 Magnificent property and location - Le Mele sur Sarthe. Ideal equestrian smallholding. 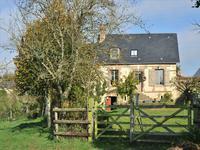 Farmhouse with numerous outbuildings and 9 1/2 acres organic pasture with large pond. 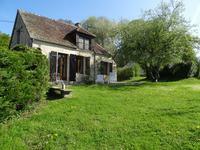 Superb farmhouse in the Perche National Park peaceful location, numerous barns. Currently 3 . . . The property built in 2010 offers 165m² of living space with all modern comforts. Acre plot + . . .
Mortagne au Perche. 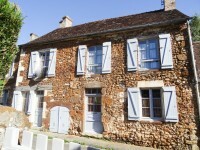 Charming historic town house beautifully renovated with a Shop front and studio space. With a very peaceful private garden and sun terrace. Perche National Park. 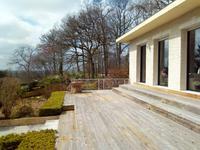 Superb Contemporary home built 1988, 6 beds, and large garage/workshop, 1 1/2 acre plot. 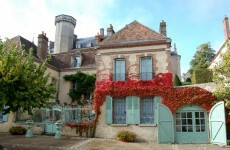 Lovely house and gardens - Paris 1 1/2h, just 10 minutes from the shops and a rail link to . . . Superb farmhouse in peaceful location. Perche National Park - Belleme, Orne. 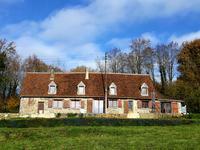 Farmhouse with outbuildings, 1/2 acre land. Beautiful peaceful location . 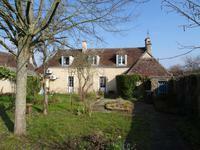 Stone farmhouse with 3 beds, 1 bath and potential to increase. . . .
Belleme. Beautiful C18th century stone farmhouse with outbuilding set around courtyard in 3 acres land, rural views. 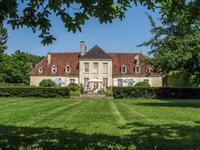 Lovely country estate - Belleme / Mamers. Set at the end of its lane in beautiful countryside . . .
Belleme region. 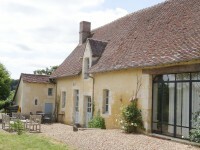 Charming stone house with walled garden and garage, 4 bedrooms and brimming with charm. Peaceful location in the Perche National Park. 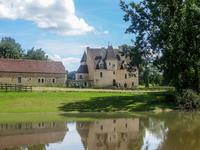 Located at the edge of the village a very peaceful location in the Perche National Park - in . . . 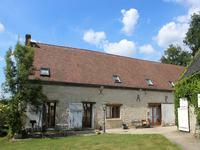 This is a beautiful country house - a wonderful double height barn conversion just 1h30 Paris 10km La Loupe, ready to enjoy. Perche National Park. 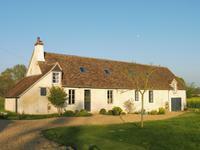 Beautiful double height barn conversion with aerothermal heating and roof in very good . 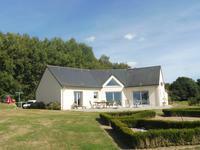 . .
Lovely stone two bedroom farmhouse along with pretty cottage, all overlooking superb . 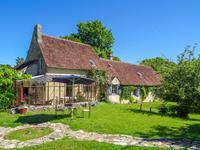 . .
Set in beautiful rolling hills, lovingly restored 2/3 bed stone farmhouse with large . 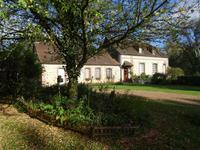 . .
Renovated and well maintained country residence with 4 bedrooms and a large open plan . . .
Nogent le Rotrou. Townhouse in perfect condition - 4 bedrooms , 2 bathrooms. 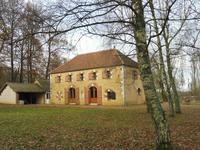 Property for sale in the Perche National Park , Nogent le Rotrou, has a rail link to Paris . . .
Belleme, Perche National Park, Normandy. The property is set along a peaceful lane which . . .
Boissy Maugis. Pretty cottage with guest appartment, on the edge of a village and public forest this typical Percherone cottage is in perfect condition. Perche National Park. Perche 61.. Longny au Perche, 1h40 Paris. 2 bed house requires updating - huge potential - in peaceful location with lovely views in a large plot with stream and barn, Parc Naturel du Perche..
Perche 61.. Close to la Loupe and Longny au Perche, 1h40 Paris. 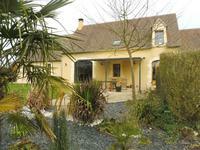 Peaceful location, stone cottage in half an acre, lovely views, Parc Naturel du Perche..
Lovely stone cottage with 4 bedrooms, superb countryside and very peaceful location in a . . .
Perche National Park region of Normandy, cottage in beautiful countryside with views, . . .
Perche 61.. Close to Longny au Perche, Peaceful location, authentic stone longere, set at edge of a hamlet, Parc Naturel du Perche..
Beautiful stone longere with 3/4 bedrooms and an annexe, superb countryside at the edge of a . . .
Sarthe, Perche National Park, Farmhouse, stone barn, mature grounds of 2 acres including a lake. Beautiful spot. 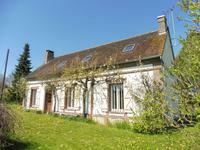 Charming farmhouse in very peaceful location between Alençon, Le Mans and Belleme. 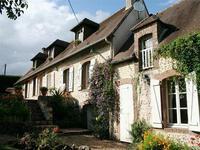 4 beds, 2 . . .
Charming village house; 2 h Paris. Nogent le Rotrou . 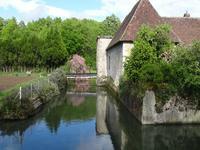 Peaceful village location in Perche . 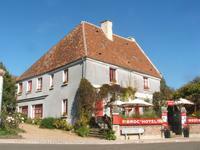 . .
Longny au Perche, Perche National Park, former Coaching Inn with huge potential. Paris 2h. At the entrance of the village this charming ancient coaching inn, now converted into a . . .